Dr. Mitchell Hutchings (www.mitchellhutchingsbaritone.com) has been described as having “a beautiful instrument” (American Soprano, Renée Fleming) “that can do anything” (British Pianist, Graham Johnson). He has performed as a soloist throughout the United States and abroad from Carnegie Hall to the Muzeum Antonína Dvořáka in Prague. His specialty includes helping students develop a singing voice without obstruction and over modification while also focusing on expanded breath, clean and balanced phonation, and smooth changes in registration. He has a record of success, particularly with young artist-level and developing singers. Dr. Hutchings has received distinction as a performer, teacher, and ensemble director. In 2014, he was the 1st Place winner of The American Prize in Vocal Performance – Professional Opera Division and was the Friedrich & Virginia Schorr Memorial Award winner. The American Prize stated, “[Mitchell] Hutchings is very musical and sings with knowledgeable artistry...[and has] a very expressive, solid baritone voice.” He has earned recognition in the American Prize, Opera Birmingham Vocal Competition, Mildred Miller Competition, National Association of Teachers of Singing auditions, and the Heafner/Williams Vocal Competition. Dr. Hutchings has been interviewed on the subject of vocal technique by Operapolitan, Schmopera, and Modern Singer Magazine. He is a past participant in the National Association of Teachers of Singing Intern Program, held at the University of Colorado Boulder, where he was mentored by contemporary commercial music specialist, Dr. Matthew Edwards. He was also nominated for the 2018 GRAMMY® Music Education Award™. The ensembles and organizations under his direction have earned awards for arts marketing, stage direction, and opera production performances. Students and alumni of Dr. Hutchings’ studio have performed with Palm Beach Opera, Pittsburgh Opera, Seagle Music Colony, Curtis Summerfest, Chicago Summer Opera, Ohio Light Opera, Teatro Nuovo, Triple Arts Broadway Summer Intensive, Charlottesville Opera, Opera Breve, Pensacola Opera, Emerald City Opera, Vancouver/Victoria Coaching Experience, Blooming Voce Summer Opera Workshop, College Light Opera, Oberlin in Italy, Finger Lakes Opera, Opera-Lytes, The Naked Voice Institute at Northwestern University, the Franco-American Vocal Academy, the Accademia Vocale Lorenzo Malfatti in Lucca, Italy, and the Russian Opera Workshop at the Academy of Vocal Arts in Philadelphia, Pennsylvania. Many of the same students have also won individual prizes in classical voice and musical theatre at the district & regional levels of the National Association of Teachers of Singing student auditions, the Premiere Opera International Vocal Competition, the Metropolitan Opera National Council Auditions, and his students have been offered acceptance with scholarship offers at the Jacobs School of Music of Indiana University, Mannes School of Music, the University of Michigan, Eastman School of Music, Boston University School of Music, Michigan State University, the Penn State School of Music, and Binghamton University. He had a former student participate in the prestigious Joyce DiDonato Master Class series at Carnegie Hall in 2016. Outside of classical voice and opera, Dr. Hutchings acts as a vocal coach, arranger, and consultant to recording artists. Most recently, he collaborated in Chicago with Dave Schiffman (2016 GRAMMY® Album of the Year, Adele – 25) and the Americana group The Way Down Wanderers on their most recent album—gaining a reputation for efficient communication and quick vocal adjustments. Performance highlights include the title role in Gianni Schicchi with Charlottesville Opera, John Proctor in The Crucible with Hartford Opera Theater, Michele in Il tabarro with Utah Festival Opera & Musical Theatre, Marcello in La bohème with Rochester Lyric Opera, Escamillo in La tragédie de Carmen with Pensacola Opera, Ben in The Telephone with Opera Saratoga, Marco in Gianni Schicchi with Opera Maine, Marcello in La bohème with the National Lyric Opera of New York, Buff in Der Schauspieldirektor with the Rochester Lyric Opera, Father in Ragtime and Pete in Show Boat with Utah Festival Opera & Musical Theatre, and he was “exemplary” (Sylva Herald) in the title role in Sweeney Todd, The Demon Barber of Fleet Street, under the direction of Broadway legend Terrence Mann, where “his range and presence commanded attention any time he was on stage” (Sylva Herald). Concert credits include Handel’s Messiah and Bach’s Weihnachts-Oratorium with the Buffalo Philharmonic Orchestra, Brahms’ Ein deutsches Requiem with the Rochester Oratorio Society, Mozart Requiem and Beethoven Choral Fantasy with the National Sacred Honor Choir in Carnegie Hall, and the Beethoven Mass in C with the Tallahassee Community Chorus. 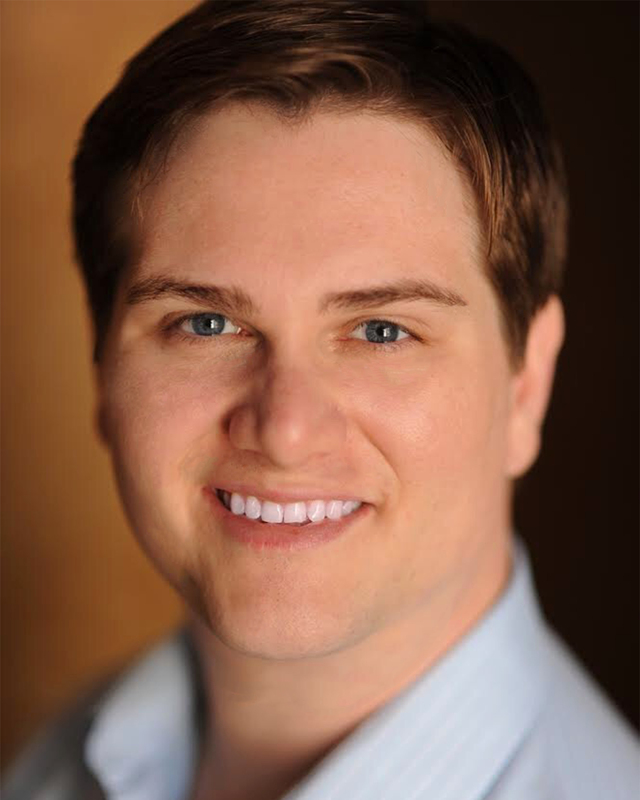 Dr. Hutchings has performed and received training as a young artist with Opera Saratoga, Pensacola Opera, Des Moines Metro Opera, Charlottesville Opera, Opera Maine, and Dicapo Opera Theatre. Mitchell Hutchings has studied with Robert Swensen, David Okerlund, Robert Holquist, and Rebecca Cook-Carter. He holds a Bachelor of Music degree in voice performance from Western Carolina University (2016 Young Alumnus Award), a Master of Music degree in voice performance from Florida State University (2015 Thirty Under 30 Distinguished Young Alumni award winner), and a Doctor of Musical Arts degree in performance and literature from the Eastman School of Music. His minor “voice pedagogy and pathology – interdisciplinary”—in which he collaborated with faculty from the University of Rochester Medicine Voice Center, the University of Kentucky College of Health Sciences, and the Eastman School of Music—was the first of its kind in the United States. He makes his home in Boca Raton, Florida with his spouse, composer Dr. Sarah Hutchings.